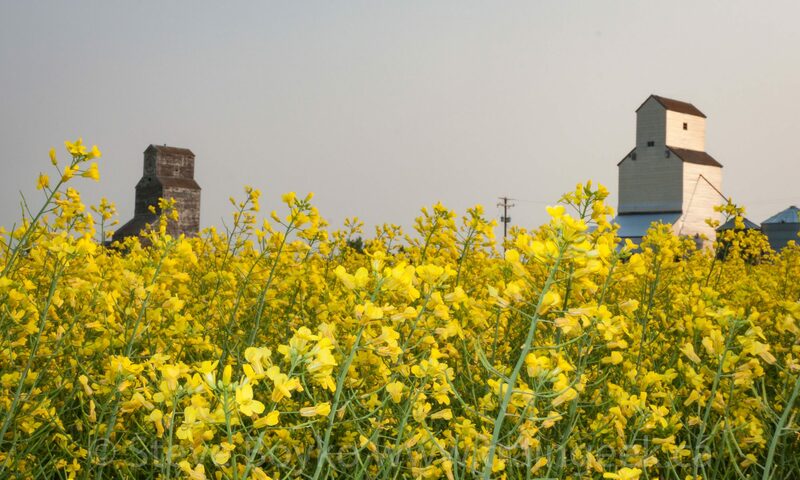 The Delmar Commodities grain elevator at Westroc, MB, Aug 2013. Contributed by Steve Boyko. 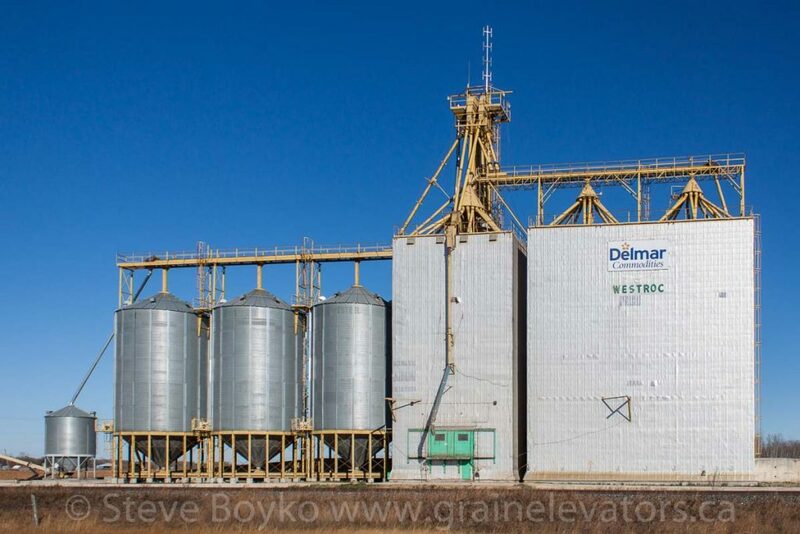 The Westroc grain elevator is owned by Delmar Commodities. 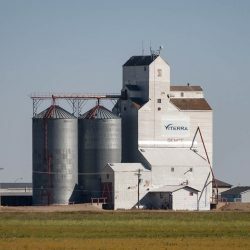 This grain elevator is just northwest of Westbourne, Manitoba and has a capacity of 4,460 tonnes. It is a former Manitoba Pool grain elevator, built in or around 1982. 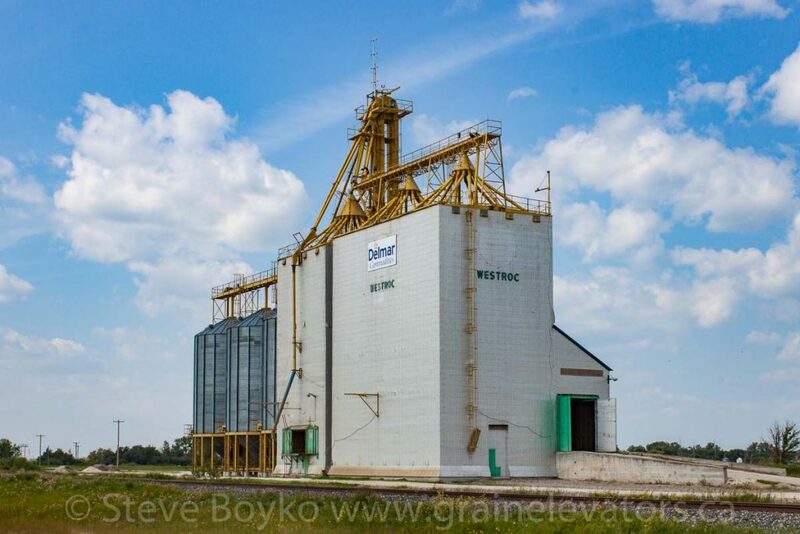 Westroc, MB grain elevator, Nov 2014. Contributed by Steve Boyko.